SS 316Ti Tubes, 316Ti Stainless Steel Pipes, SS werkstoff nr. 1.4571 Pipes, ASTM A312 Stainless Steel UNS S31635 Seamless Pipes & Welded Tubes Supplier & Exporter in India. An ISO 9001:2008 Certified Company we Neon Alloys manufacturer & exporters of 316 Ti Stainless Steel Seamless & Welded Pipes / Tubes / U-Tubes & Coils In India. The Stainless Steel 316 Ti Grade Pipes & Tubes offered by us are appreciated for various features such as durability, fine finishing, corrosion resistance and dimensional accuracy. The Stainless Steel 316 Ti Grade Pipes & Tubes manufacturing process includes the formation of mother tube with the help of premium quality stainless steel strips, coils, plates. The stainless steel 316TI amalgam comes as a form of the 26% chromium – combination. Our output has a long term industrial acknowledgment that has been finding application in a large variety of carbon content control operations that have a wonderful utility around the world. Additionally, we have been making an excellent utility of the 0.04-0.10 range for the provision of the high temperature tenacity for exposure to temperatures above 600°F. We offer supreme quality of tubes and pipes, SS 316Ti Pipes, SS 316Ti Tubes, Stainless 316Ti Seamless Pipes & Tubes etc. These products are available at best possible prices which is another important feature exhibited by our products range. 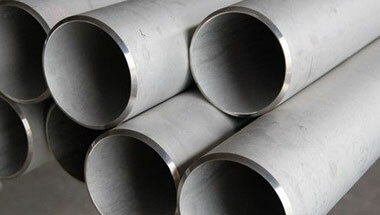 Stainless Steel 316Ti ERW Pipes, SS 316Ti Seamless Tubes, Steel 316Ti Welded Pipes, Stainless Steel 316Ti EFW Tubes, Stainless ASTM A213 316Ti Seamless Pipes Manufacturer in India. Angola, Morocco, Mexico, Russia, Sudan, United States, Trinidad and Tobago, Egypt, Nigeria, Dubai, Jordan, Tunisia, Africa, Iraq, Democratic Republic of the Congo, Israel, Uganda, Colombia, South Africa, Peru, Bahrain, Italy, Ghana, Ethiopa, Venezuela, Mozambique, Kazakhstan, Argentina, Canada, Kuwait, Azerbaijan, Vietnam, Thailand (Bangkok), Chine, Saudi Arabia, UAE, Sri Lanka, London, Turkey, Germany, Houston, Malaysia, Iran, Algeria, Cameroon, Australia, Indonesia, Brazil, New Zealand, UK. Soweto, Riyadh, Jerusalem, Brazzaville, Giza, Aqaba, Singapore, Pretoria, Accra, Zaria, Data from the UN, Antananarivo, Ouagadougou, Cape Town, Port Elizabeth, Kolwezi, Dar es Salaam, Cairo, Algiers, Dakar, Mogadishu, Tripoli, Cairo, Freetown, Maputo, Kano, Benin, Addis Ababa, Mecca, Tehran, Maiduguri, Conakry, Casablanca, Khartoum, Luanda, Abidjan, Douala, Bamako, Rabat, Beirut, Lubumbashi, Doha, Tel Aviv, Amman, Muscat, Fez, Manama, Alexandria, Lagos, Nairobi, Lusaka, Kampala, Kaduna, Mbuji-Mayi, Harare, Bethlehem, Yaoundé, Bulawayo, Dammam, Istanbul, Ibadan, Colombo, Omdurman, Sharm el-Sheikh, Kinshasa, New York, Byblos, Abu Dhabi, Dubai, Hong Kong, Subra al-Haymah, Johannesburg, Durban, Port Harcourt, Jeddah.